What do we think will happen to the Philippine peso in 2019? Those with PHP in the back pockets will be hoping that the worst is over for the currency following a strong second half of 2018, following over three years of depreciation. The ironic thing for the peso is that while growth has been strong, for some economic indicators, growth has been too strong and has put pressure on both the country’s current account deficit and trade balance. Investment and corporate expenditure as well have been strong and while we would normally see a slowing of growth prospects as a bad thing for the currency, a resumption of growth at something closer to trend level could easily be seen as a positive for the currency. 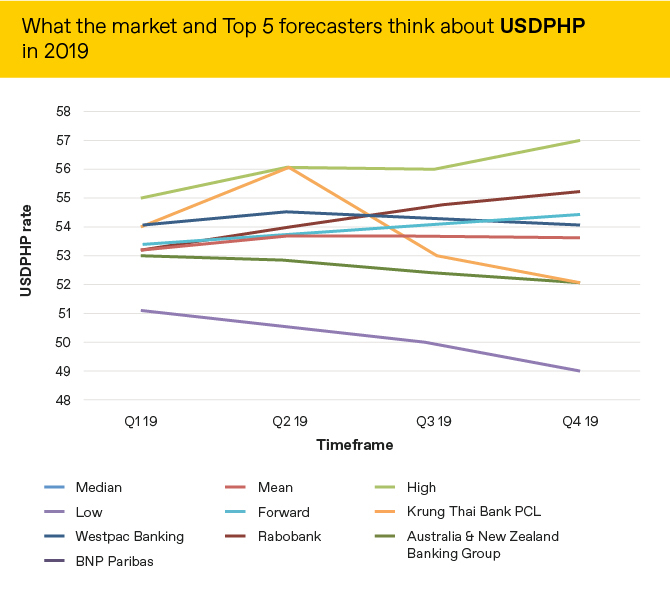 The PHP will likely continue to benefit from investors who like its defensive abilities during periods of market angst. 2019 could be set up for a good year for the PHP.